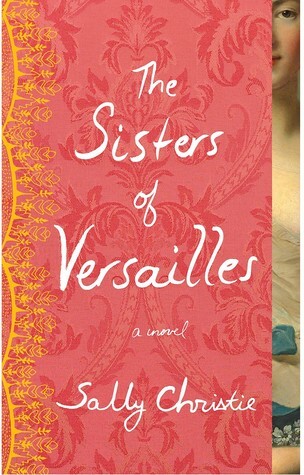 Set in 18th century France at the court of Louis XV, The Sisters of Versailles follows the lives of five sisters and the successive rise and fall of each as mistress to the king. Though it sounds completely fictional, this is actually based on the Nesle sisters and their relationships with King Louis XV. At first I wasn’t sure if this book would be for me. I love seeing sibling interactions but the amount of backstabbing and trickery that I expected in this book worried me; and I was right to be worried! Versailles was no place for people with subpar poker faces which was reiterated throughout this story. The gossip and constant politics of this world hooked me immediately and I ended up zooming through this book! The voices of the sisters were so compelling and I found myself on more than one occasion struggling to pick a favorite among the five. Each chapter is narrated by one of the Nesle sisters and though I’m not normally a fan of books that have multiple points of view it worked perfectly for this story. Paired with the letters the sisters sent to one another, these chapters allow the reader to have a deeper look into the minds of the characters; it hit me quite a few times that I was reading about people who actually existed. More than once I found myself cheering for one sister or feeling furious at the actions of another. To say that I was invested in these people would be a bit of an understatement. The fact that I knew nothing about Louis XV or much about 18th century France was to my benefit as each twist and turn caught me by surprise. Though I didn’t want this story to end, I was quite pleased with how neatly it was wrapped up (despite the fact that there appear to be two more books in this series!). Christie’s writing was fantastic. Her descriptions of everything, down to the details of the character’s clothes helped me feel as if I were in Versailles with the characters. I can see the amount of research and love that went into this story and I can’t wait to see more from her in the future!